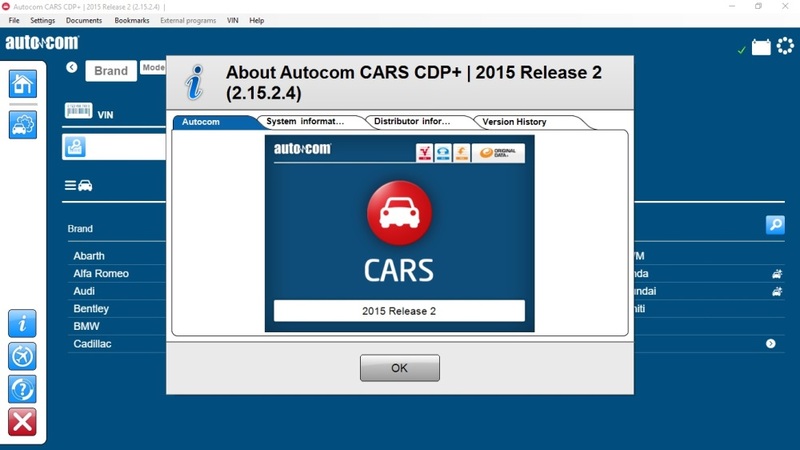 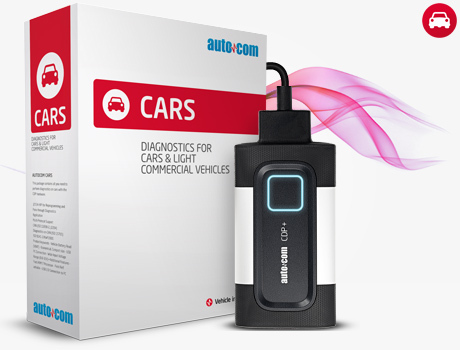 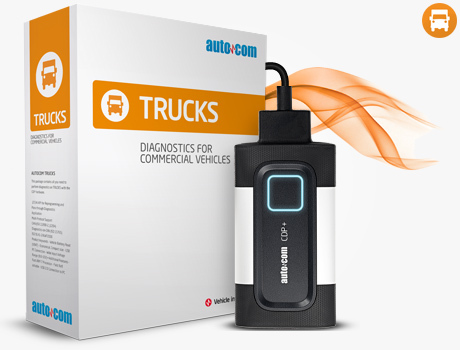 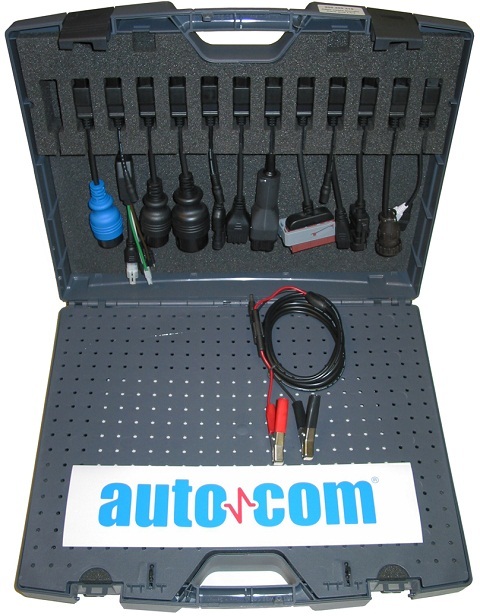 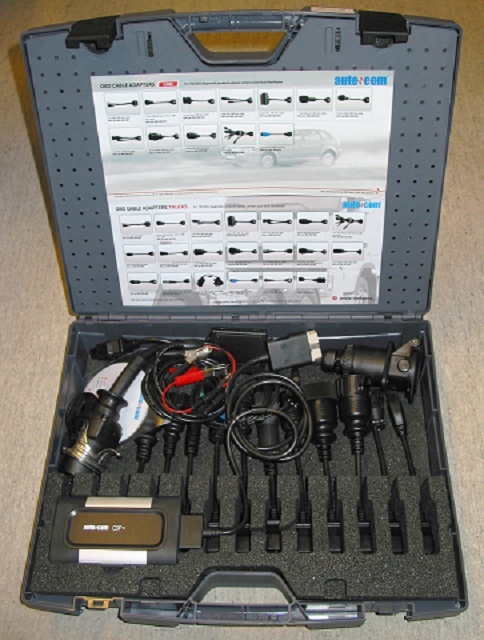 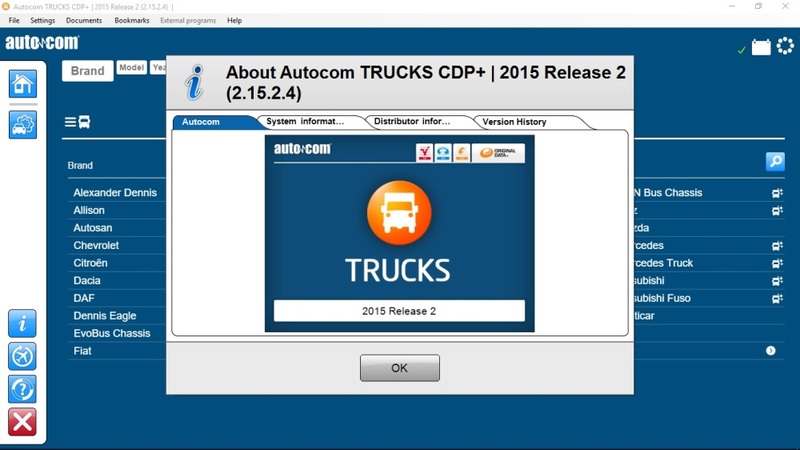 AutoCom CDP + is a new generation diagnostic equipment in the new industrial housing with new features and capabilities and improved performance thanks to a more powerful hardware. 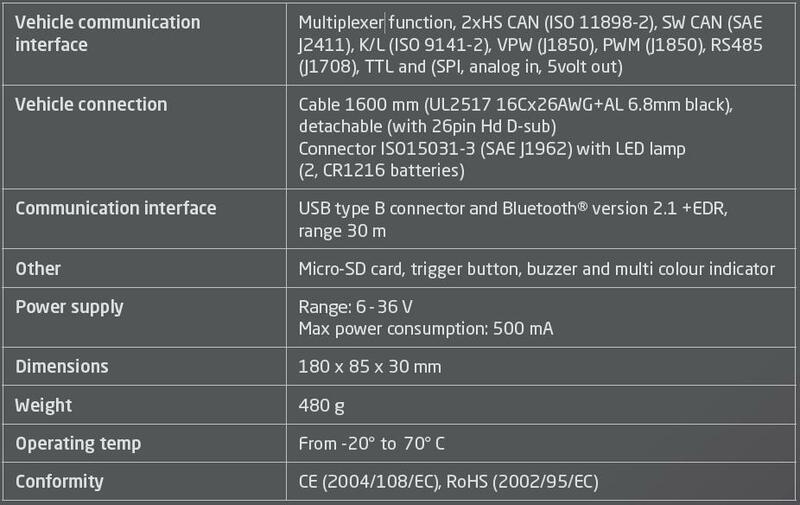 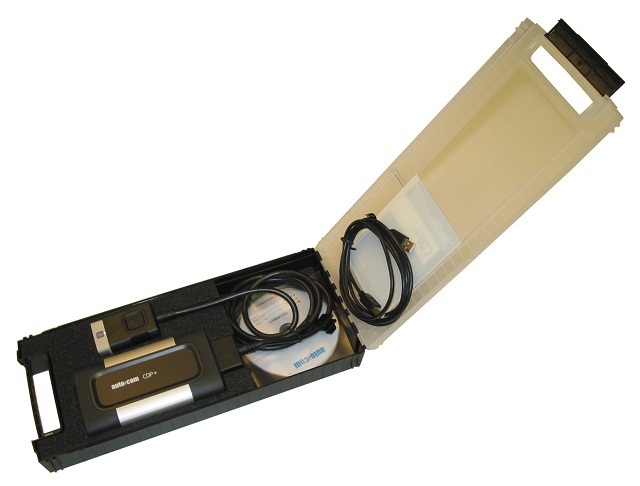 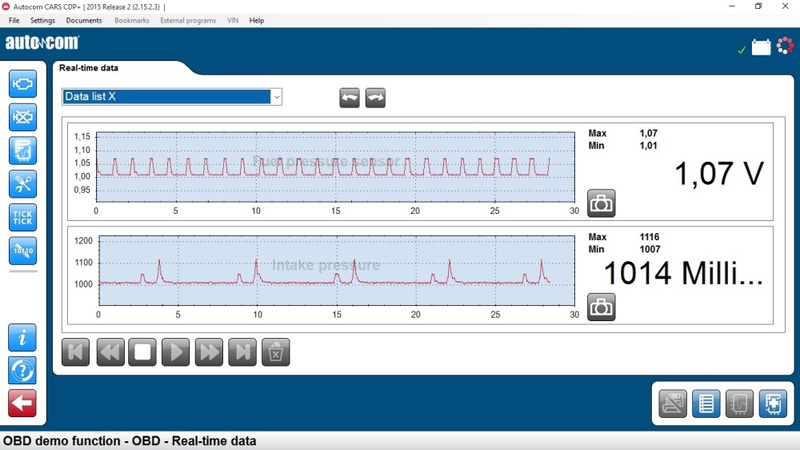 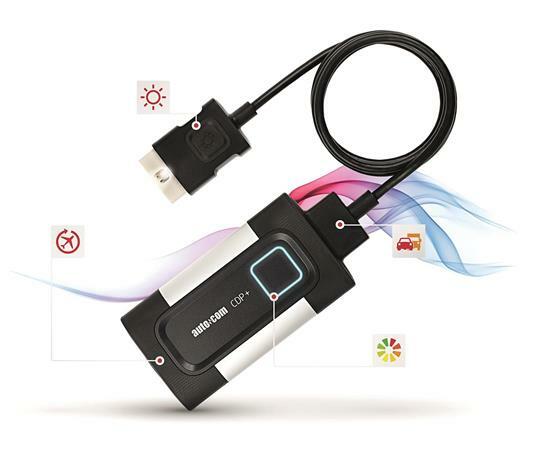 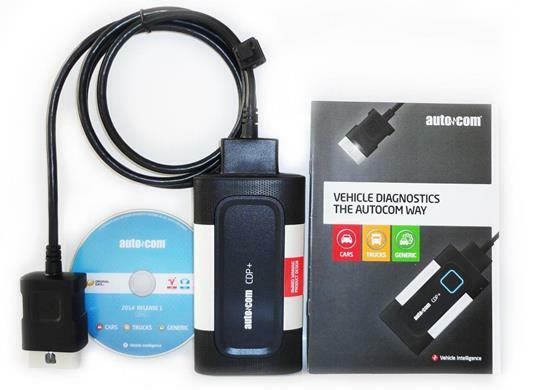 Equipment has Bluetooth (up to 30 meters) with diagnostic software installed on PC or any tablet with operating system or it can be connected with a USB cable. 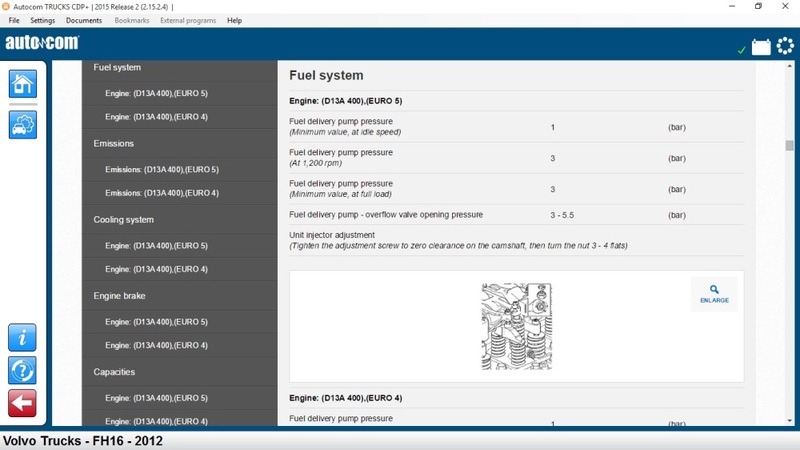 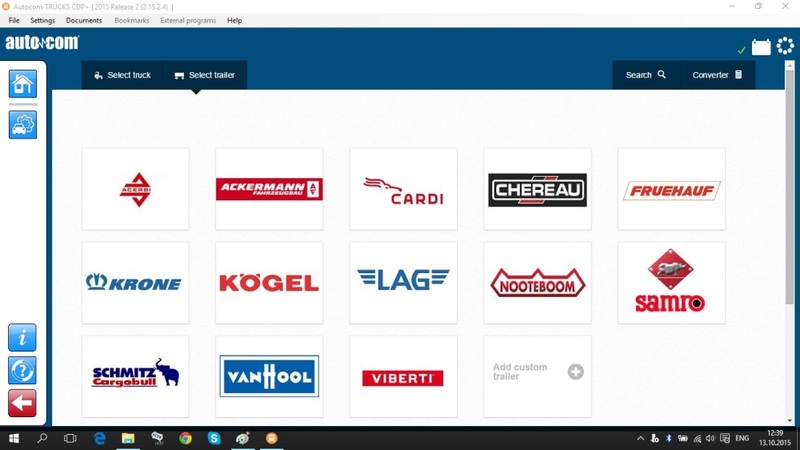 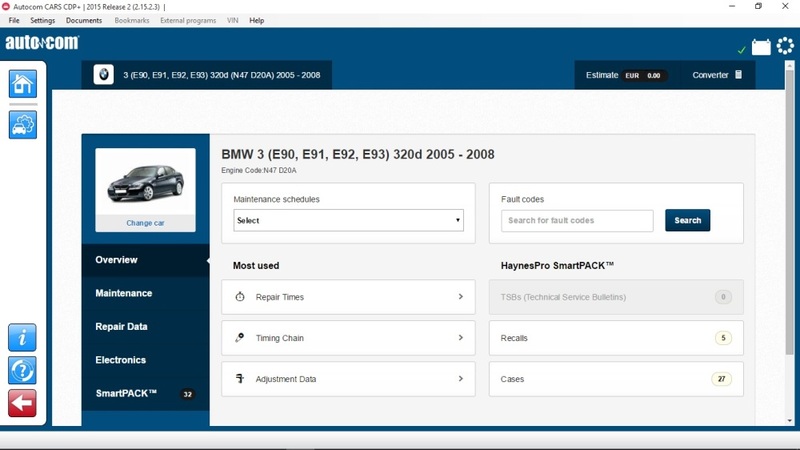 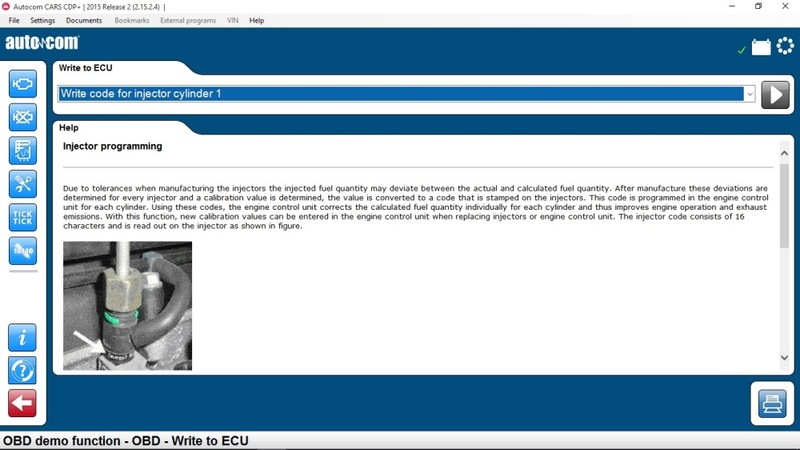 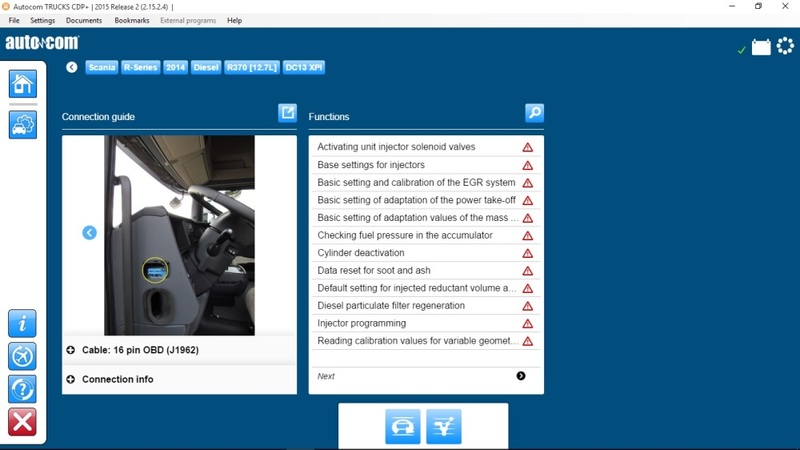 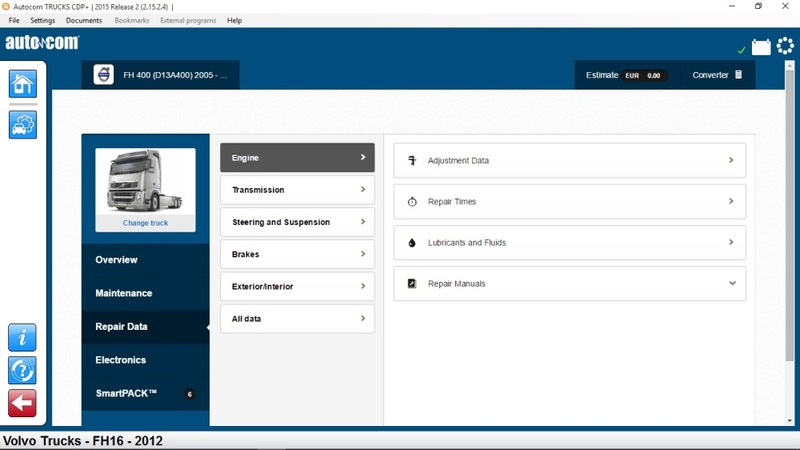 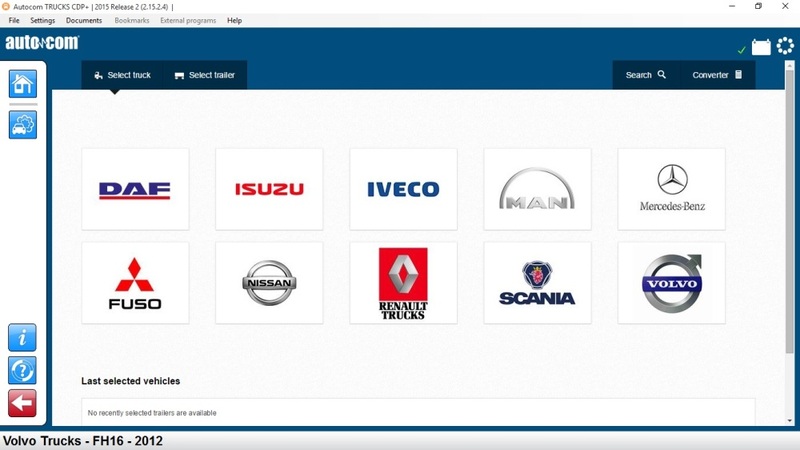 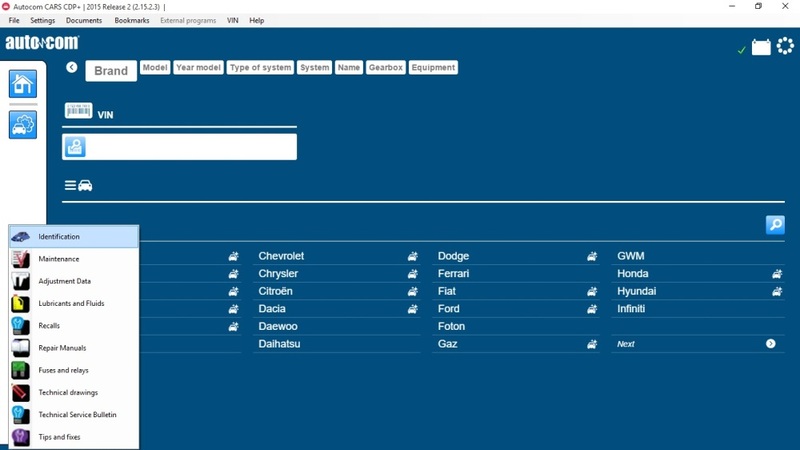 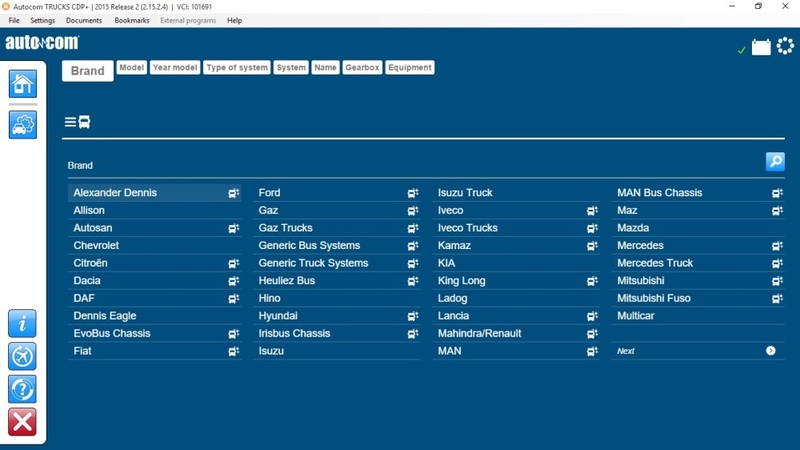 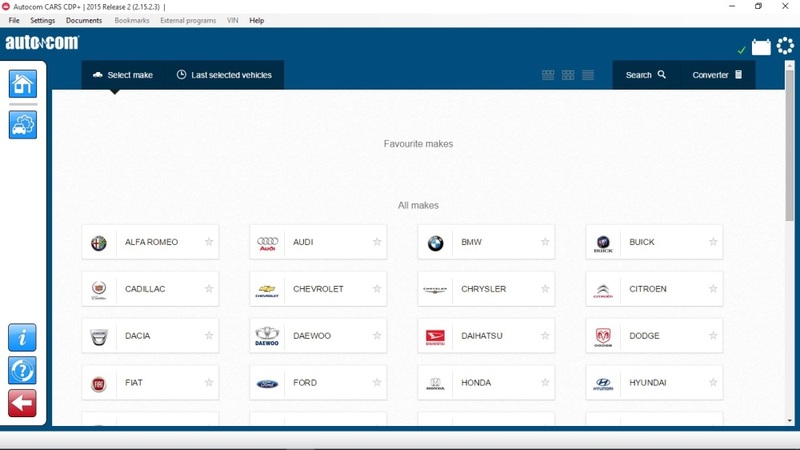 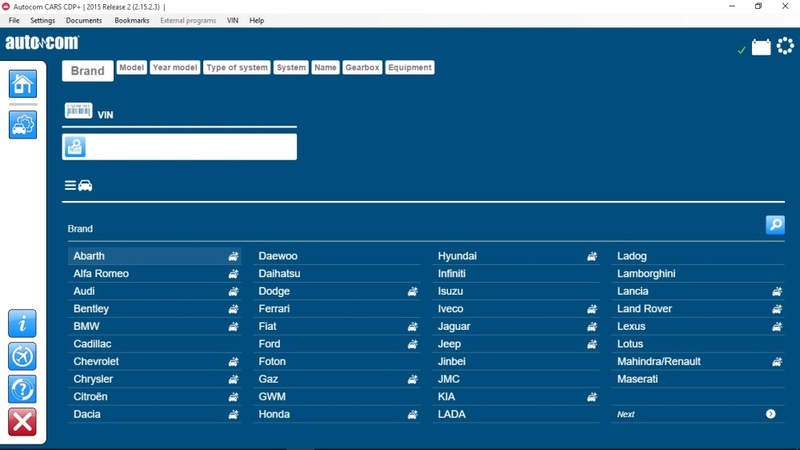 The software is supplied in different variants: for light transport (passenger cars) or heavy duty cars (trucks, buses, trailers and light commercial transport) and combined variant. 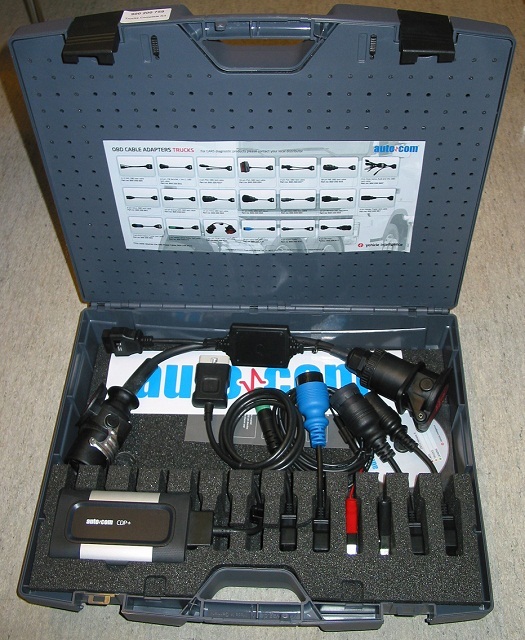 Equipment made in Sweden of high quality parts and materials. 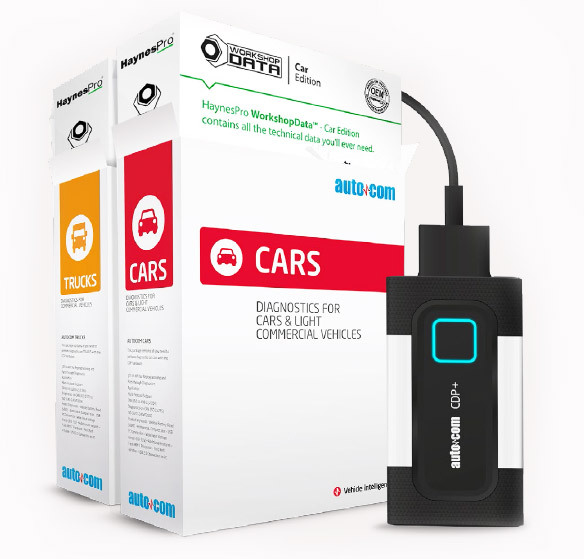 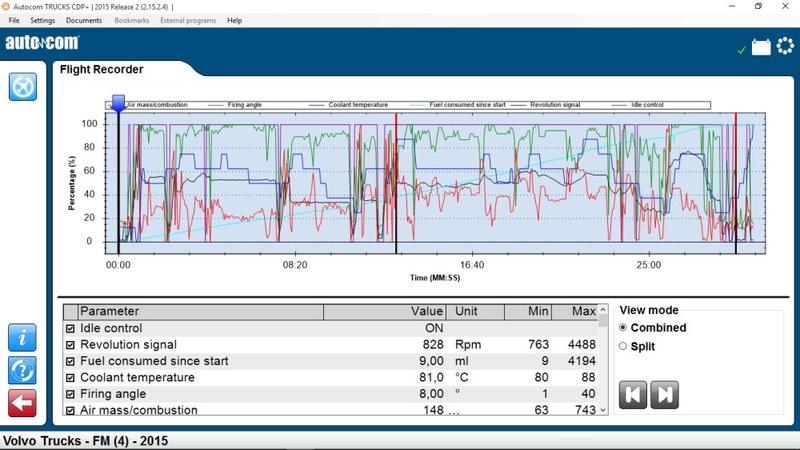 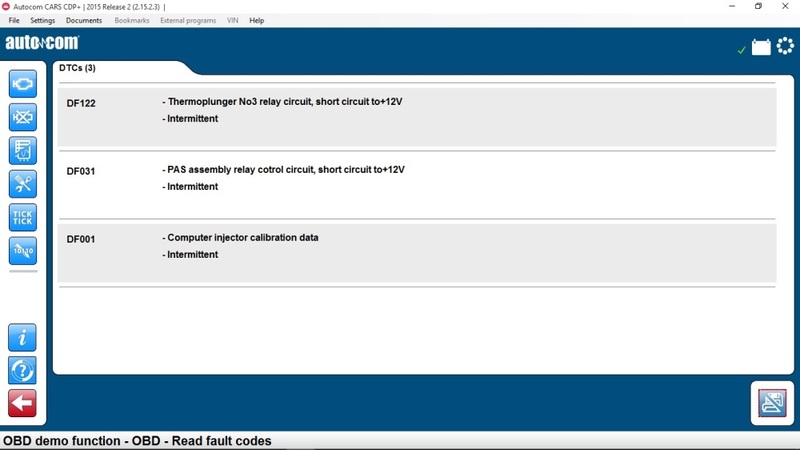 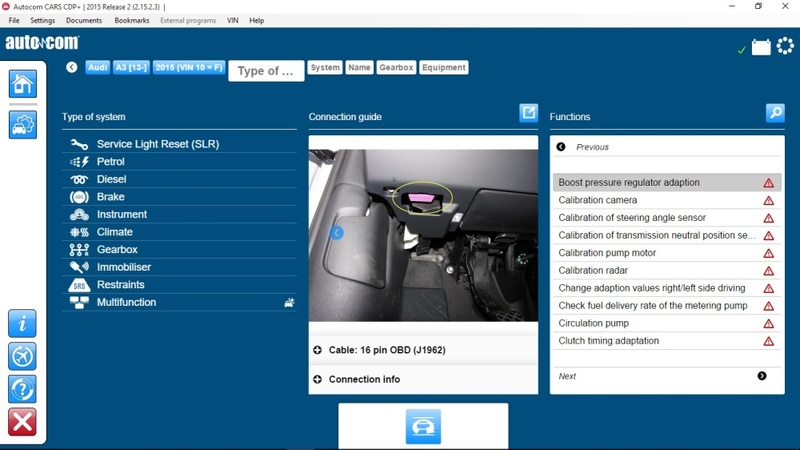 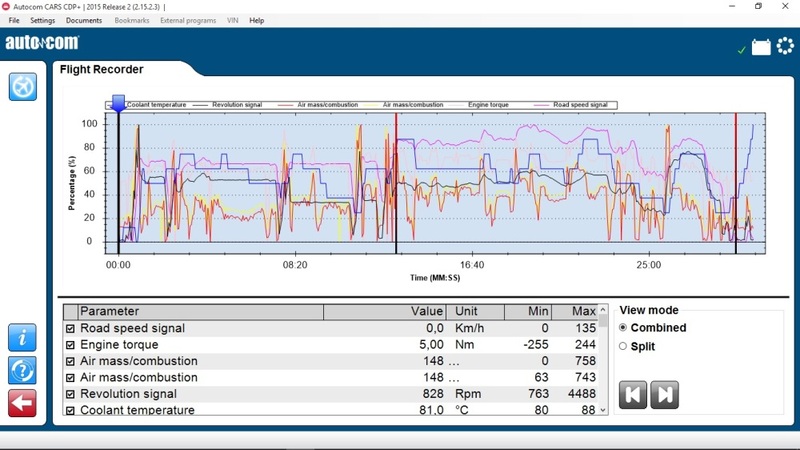 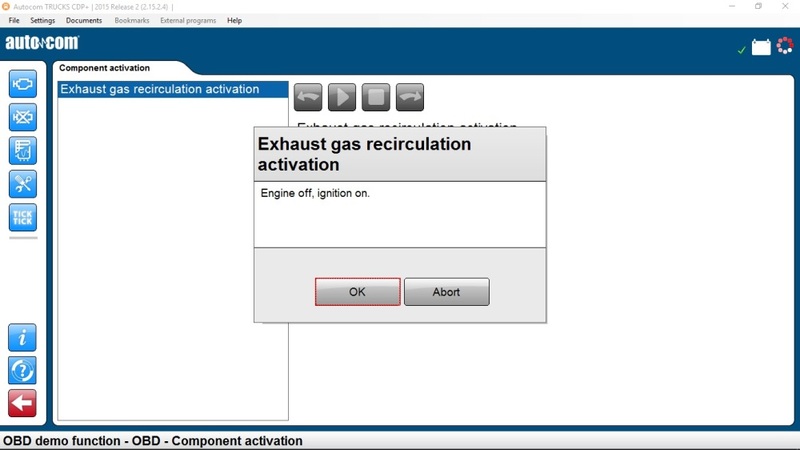 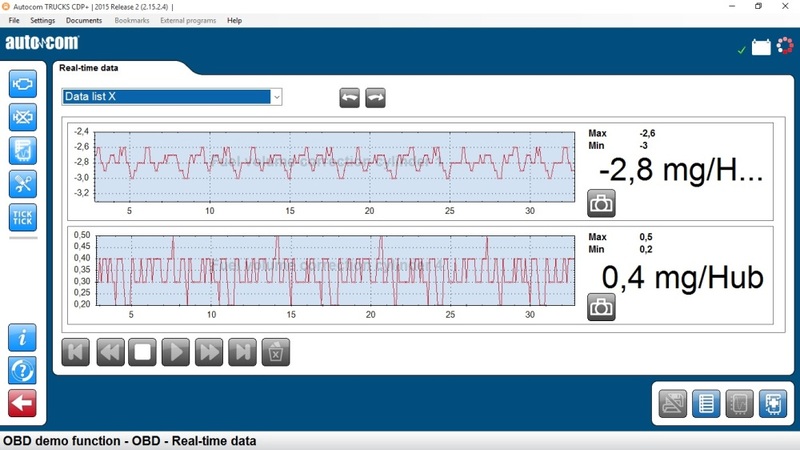 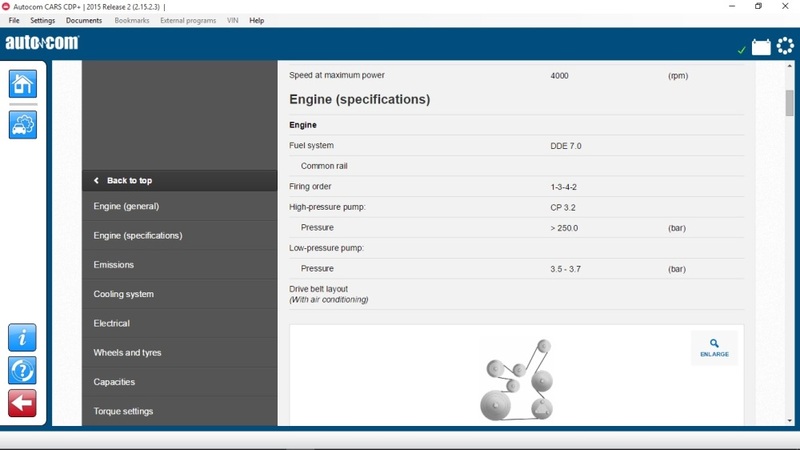 The new data storage function Flight Recorder allows to discover various failures of sensors and other components from any control unit in the car - all that is needed is to connect the equipment to the vehicle's diagnostic socket and activate the function with the button on the main unit. 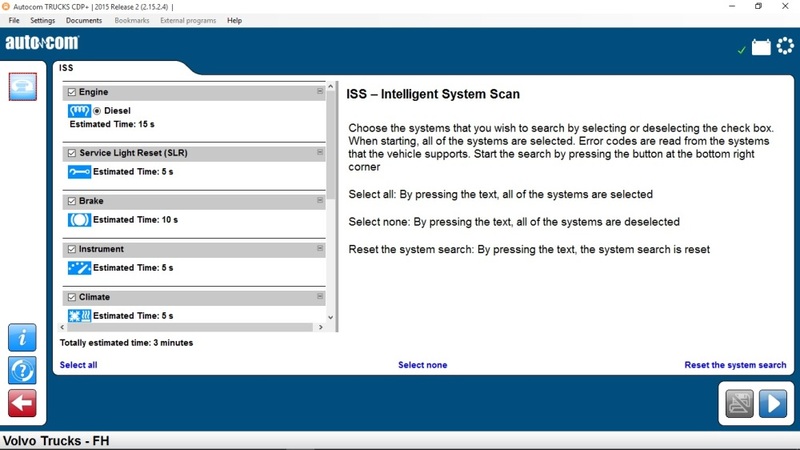 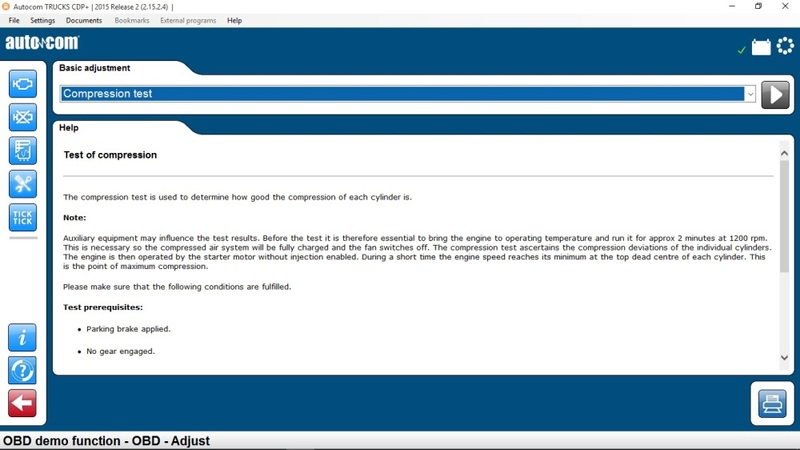 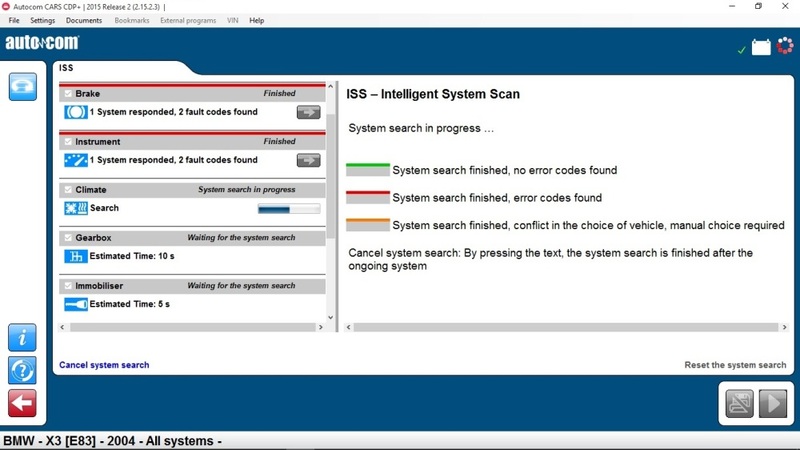 The recorded information can then be downloaded and analyzed with the help of program installed on your computer. 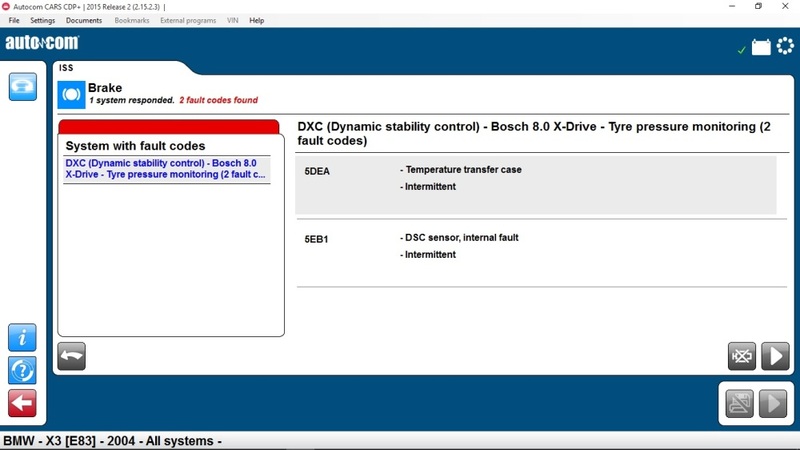 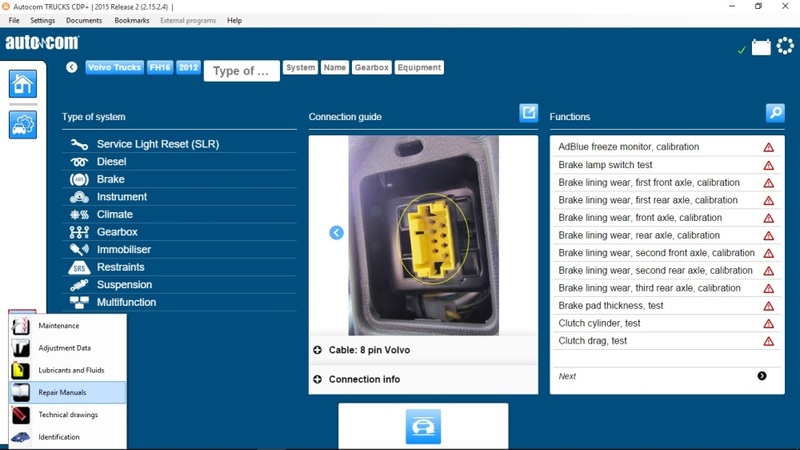 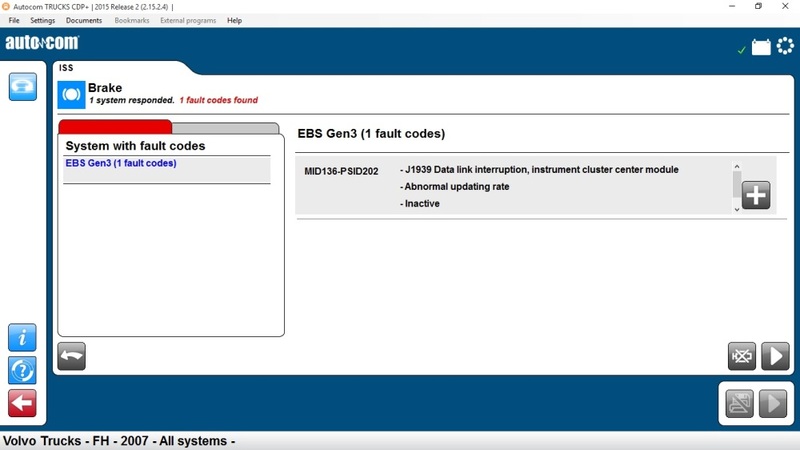 The new multicolor indicator shows all hardware functional statuses, and if before it was difficult to find the diagnostic socket bellow dashboard in dark place, now you can find it easily thanks to new OBD connector with built-in LED light. 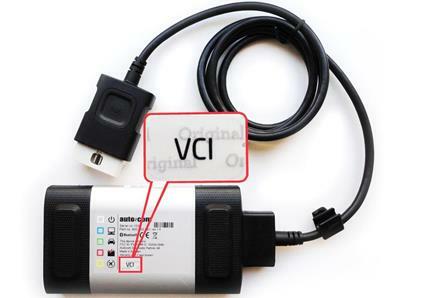 Intelligent vehicle's battery voltage control alerts with beep sound and visual signal if the voltage exceeds the limit of the default value for the specified vehicle. 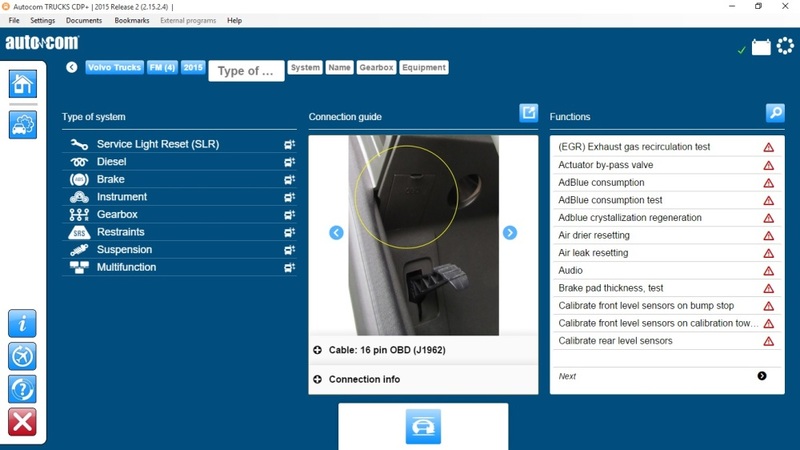 The new antenna embedded in the unit’s housing now is not a subject to external mechanical impact. 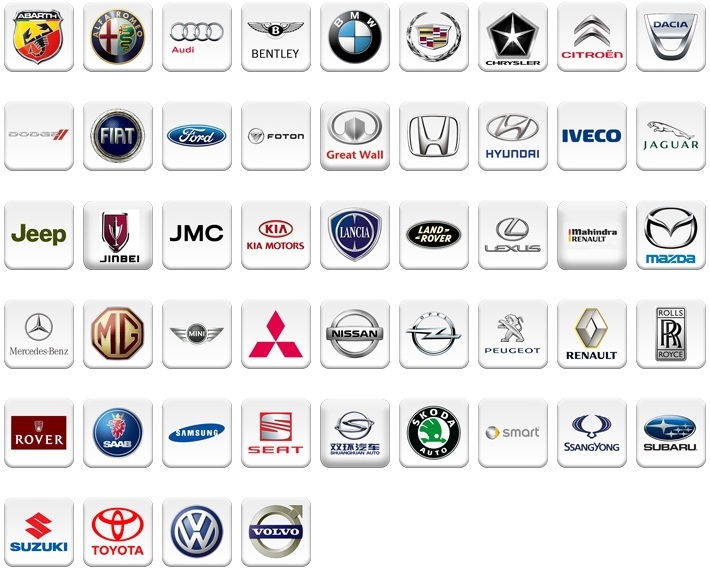 Abarth, Alfa Romeo, Audi, Bentley, BMW, Cadillac, Chevrolet, Chrysler, Citroen, Dacia, Daewoo, Daihatsu, Dodge, Ferrari, Fiat, Ford, Foton, GWM, Honda, Hyundai, Isuzu, Iveco, Jaguar, Jeep, Jinbei, JMC, KIA, Lamborghini, Lancia, Land Rover, Lexus, Lotus, Mahindra/Renault, Maserati, Mazda, Mercedes, MG, Mini, Mitsubishi, Multicar, Nissan, Opel/Vauxhall, Peugeot, Porsche, Renault, Rolls-Royce, Rover, Saab, Samsung, Seat, Shuanghuan, Skoda, Smart, SsangYong, Subaru, Suzuki, Tata, Toyota, Volkswagen, Volvo, Yuchai and others. 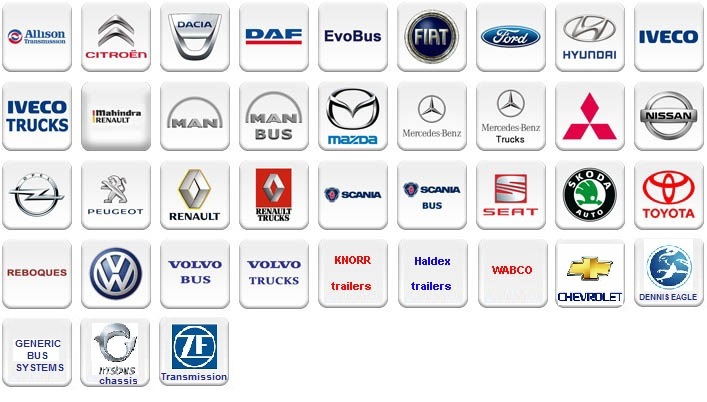 Agrale Bus, Alexander Dennis, Allison, Autosan, Chevrolet, Citroen, Dacia, Daf, Dennis Eagle, EvoBus Chasis, Fiat, Ford, Ford Cargo, Generic Bus Systems, Heuliez Bus, Hino, Hyundai, Irisbus Chassis, Isuzu, Isuzu Truck, Iveco, Iveco Trucks, Kamaz, Kia, King Long, Ladog, Lancia, Mahindra/Renault, MAN, MAN Bus Chassis, Mazda, Mercedes, Mercedes Truck, Mercedes Truck South America, Mitsubishi, Mitsubishi Fuso, Multicar, Nissan, Nissan Trucks, Opel/Vauxhall, Optare, Otokar, Peugeot, Plaxton, Renault, Renault Trucks, Scania, Scania Bus Chassis, Seat, Skoda, Solaris, Toyota, Trailers (Haldex, Knorr, Wabco), UAZ, VDL Berkhof, VDL Bova, VDL Bus & Coach, VDL Jonckheere, Volare, Volksbus, Volkswagen, Volvo Bus Chassis, Volvo Truck South America, Volvo Trucks and others. 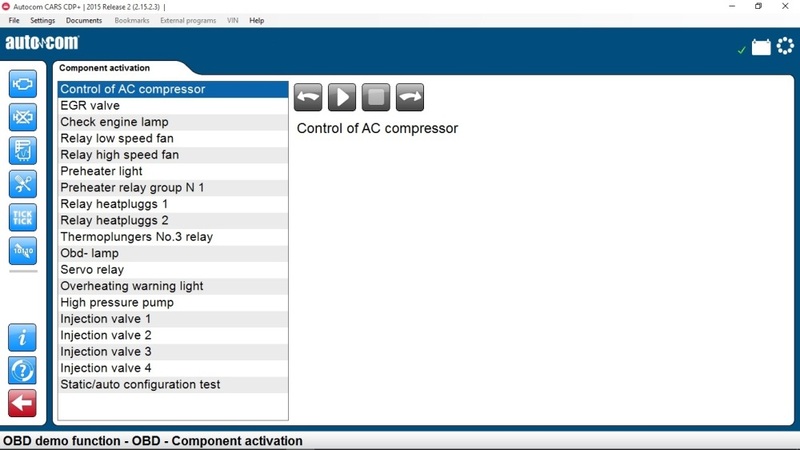 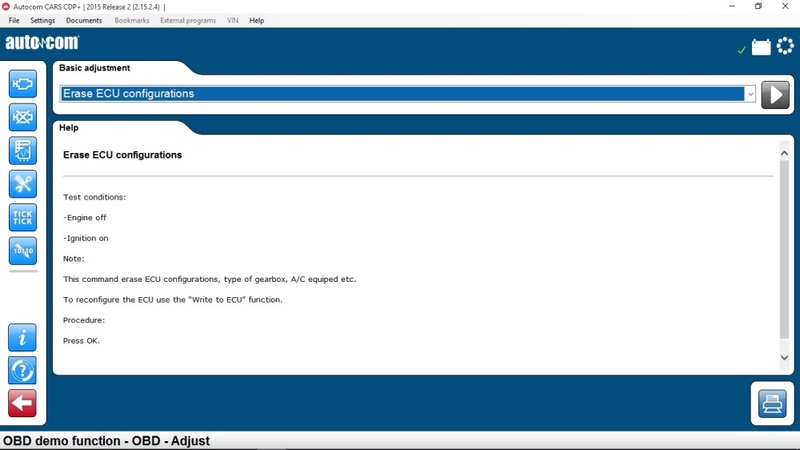 •Activation of components, adaptation, coding, etc.